No bad remarks for college. 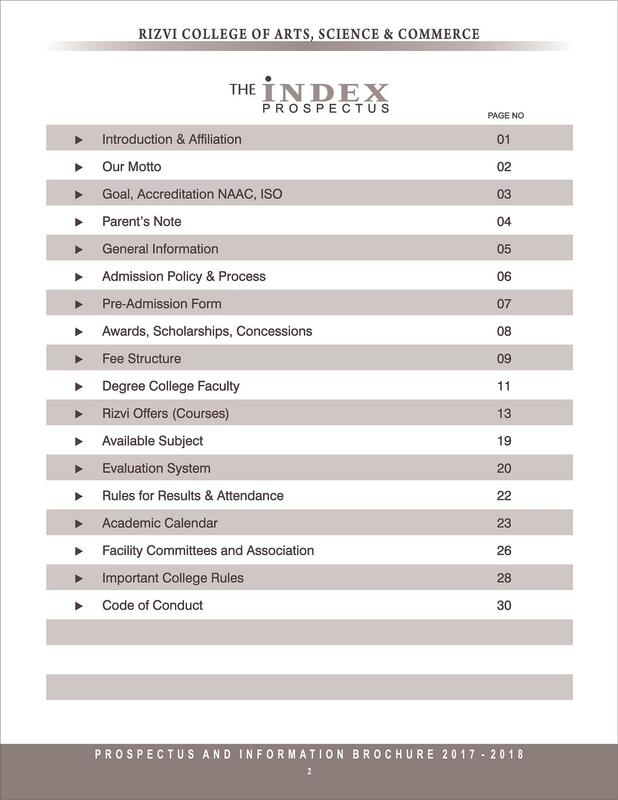 Best in discipline, activities, teaching and in othe things too. Overall an average Coll holding a good name. Overall my 3yrs of experience being here was good enough. My first year wasn't as good as i thought of but as the years kept on passing my mind set for the College kept on changing. Now I find this college as one among the best college i have been till date. A college with a very good environment. Overall my 3 years of experience being a part of this college was just wonderful. The best parts is that the students here are good and helpful too. Completely satisfied being here with 0 regrets. Overall the college is too supportive in terms of sports mainly cricket. Crowd is too good. Canteen facilitiy is average. Infrastructure is good wothout any playground. Overall in terms of studies its too good. Overall i had a very pleasant experience being a part of this College. Everything right from the campus up till the teaching facilities were up to the mark. The crowd seems to be good enough. 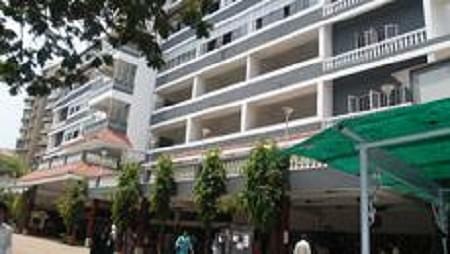 Rizvi College of Arts Science and Commerce, Mumbai: This is one of the fewest reputed colleges for the arts, science and commerce education. It aims to establish to expand the education excellence by expanding the institution all over the major cities in India. 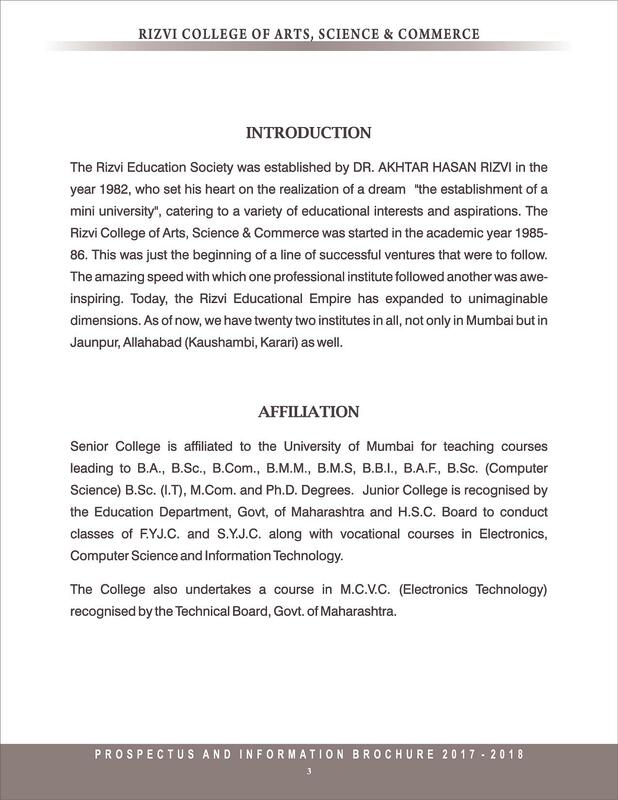 It is one of the wings of the Rizvi Education Society founded by Dr. AKHTAR HASAN RIZVI in the year 1982 according to his will to establish the mini-university this college has been established. Now it is expanded over the three major cities in India and spreading the teaching excellence and contributing its products to graduates from various fields of arts and science to the nation. 3.3 kilo meters from Bandra, Bandra East to West Railway Foot-Bridge. 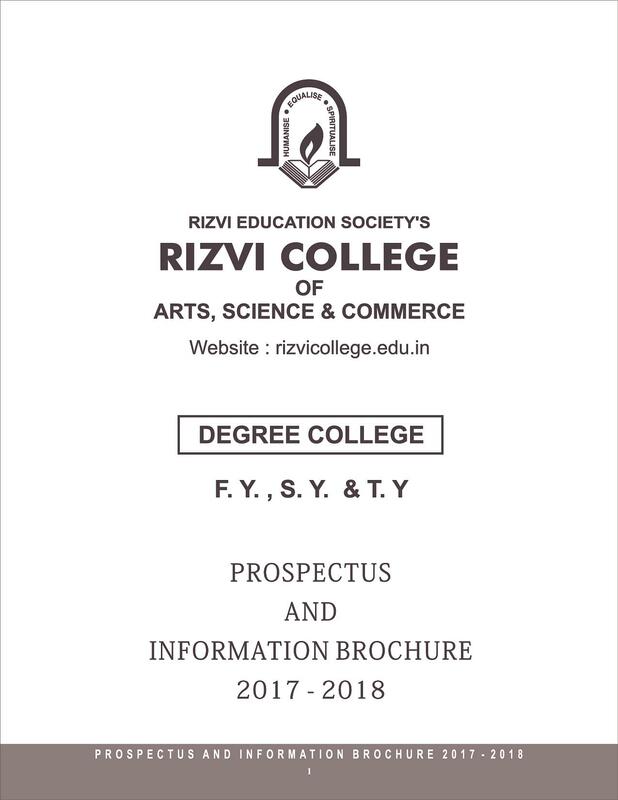 Why to join Rizvi College of Arts Science and Commerce? 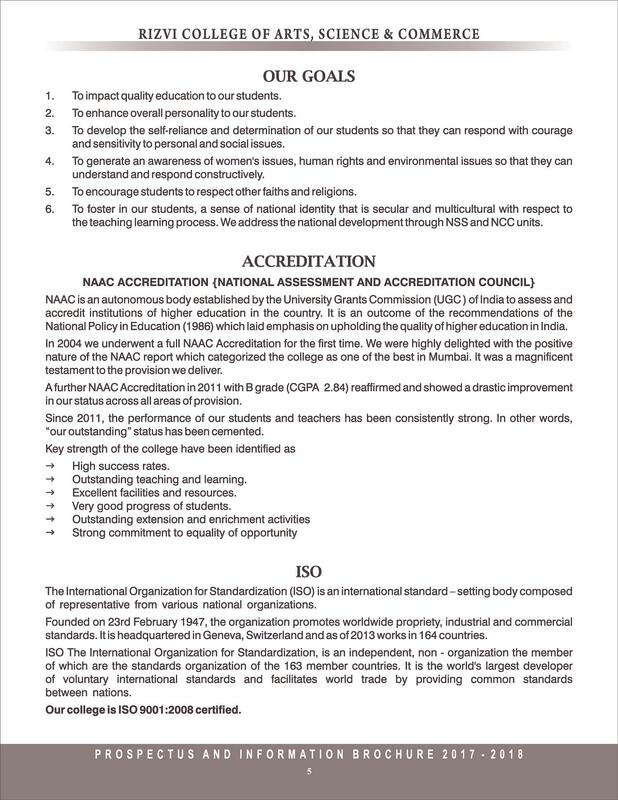 Good team of faculty: this institute having the well qualified faculty members in each discipline of various streams. And they are re molding the students as the best, self potential and well beings in the society with the teaching excellence and methodologies of practical learning. Research programme: the College is very interested to conduct the research programmes every year and doing so in the name of “aavishkar”. By doing such programmes every individual student can get the capabilities of learning and applying the same. Sports and events: As like the studies the college giving the equal importance to the physical education and sports. As a part of this every year various sports competitions are conducting. 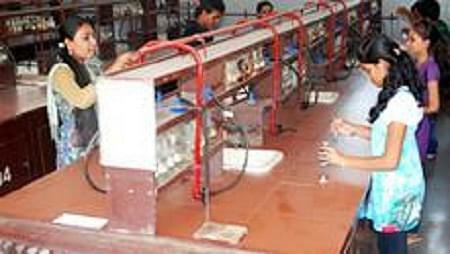 Likewise this institute is also maintaining the NSS and NCC units to take over the social responsibilities. Student committees: The college has the student support and forming the committees with the student coordinates like “anti ragging committee” and “cultural committee” etc. And it is running successfully with the student and management mutual co-ordination. "A college located in the heart of Mumbai"
There isn't any entrance exam been conducted by the college. The admission are based on the merit list. Being a muslim minority college preference is been offered to the Muslim students. The cutt off seems to be too less and is quite easy to get the admissions. There wasn't any entrance exam been conducted. The complete process was based on merir lists. 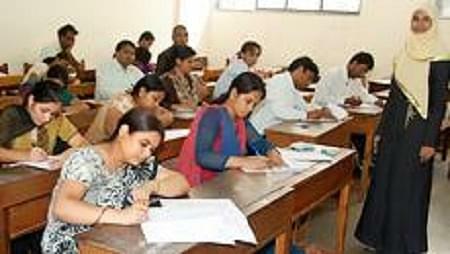 The merit list was been prepared according to the marks one scores in his / her 12th boards. "Quite good in all terms." Basically you have to pass your 12th exams with atleast of 40% ans based on which there will be an personal interview been conducted just to judge your commutation and your interaction level.